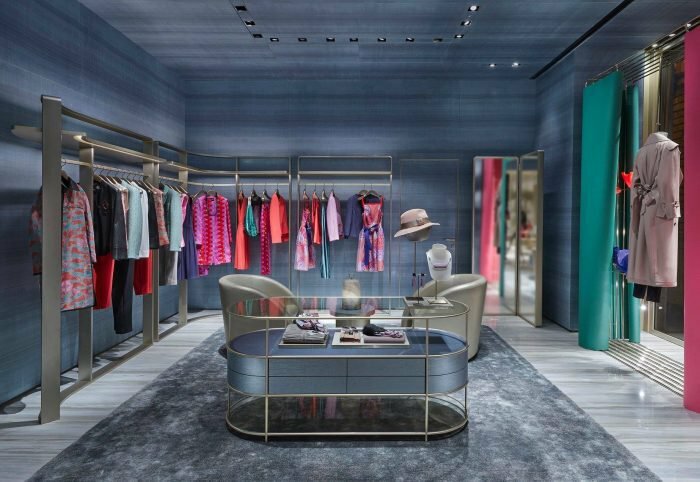 The temple of style by Giorgio Armani has found a new home in the city. The store previously hosted at no. 48/r Via de’ Tornabuoni has indeed been relocated at no. 83/r of the same street. 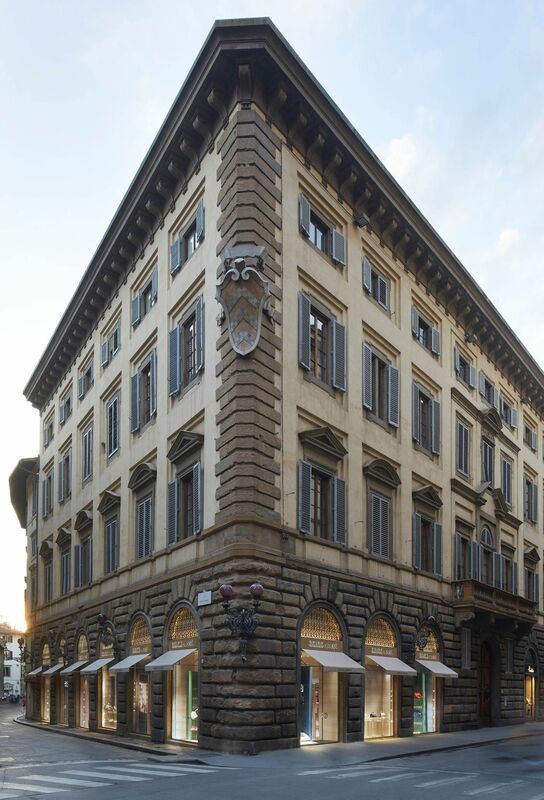 With a surface area of 250 square metres all on one level, right opposite Palazzo Strozzi, it boasts nine shop windows overlooking one of the smartest streets in the city centre. 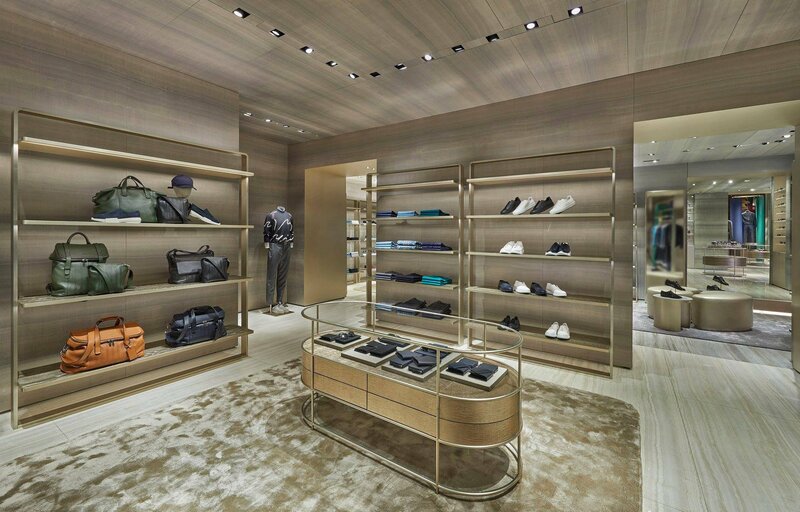 Conceived by Giorgio Armani and his team of architects, the new store concept respects the original architecture of the building. The spacious and luminous space is developed in a succession of rooms connected by elegant portals with a platinum-colour finish. All the rooms have been customized: the floor panels, different in each room, are matched with both the silk panels on the walls and the window curtains, which are also coordinated with the colours of the floors. The light and curved with rounded corners furnishings and display units are made of resin and platinum-colour metal. 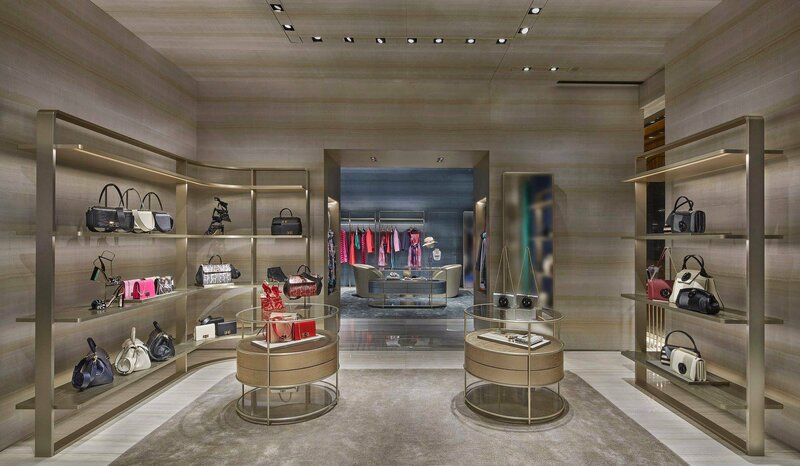 The seats, lamps, coverings and carpets all belong to the Armani/Casa collection. 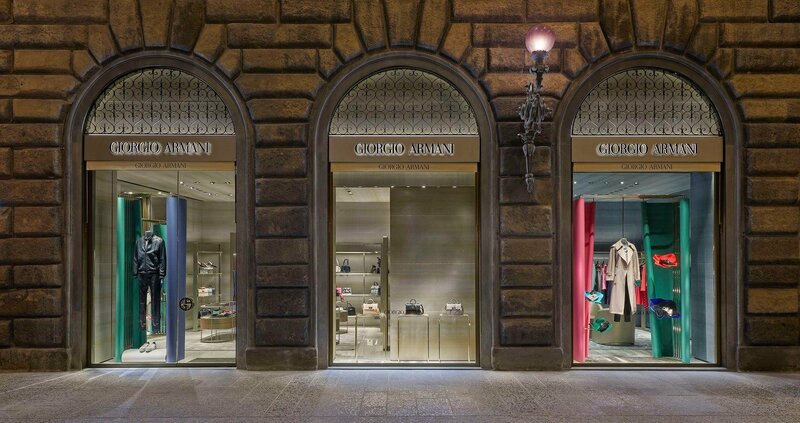 In addition to a large space set aside for accessories, the store also contains a corner and a shop window dedicated solely to the Giorgio Armani Beauty make-up and fragrance range.